Keep secure and connected to employees, vendors, and customers. Whether you need a basic system that reaches from a reception desk to the front door or loading dock, or a more elaborate system that lets you access the system off-site via a smartphone, Modomation can design, install, and maintain a system that meets the demands of your business. Keep secure and connected to employees, vendors, and customers with a scalable intercom system from Modomation. 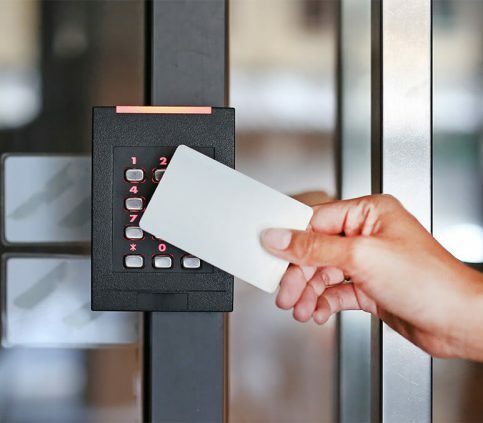 We also can tie your intercom into a camera system and record security footage at important or key entrance points and create security badges and key fobs for ID security access to any or all your buildings or facilities. On the cutting edge of security system technology is the practice of Geo-fencing. Using global positioning technology (GPS) or radio frequency identification (RFID) we can define a “virtual barrier” around a predetermined geographic boundary. Once established, the system can alert you via text message, email, or through an app when someone enters or exits that predetermine area. Geo-fencing can help you make sure your truck driver stays on his route, that employees or other individuals keep out of restricted areas, or well a company or hospital owned iPad leaves the secure area. 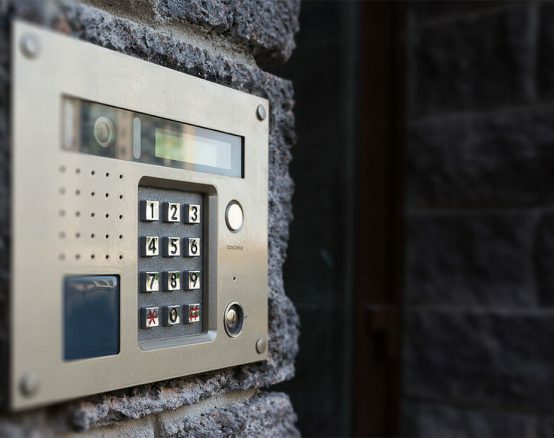 Stay connected and secure, whether you’re on or off-site, with a custom designed and installed intercom system by Modomation.